"We are all so thrilled to have won. This award is a fantastic tribute to all the young people at Victoria Education Centre, their families and wonderful recognition for the amazing staff whose innovation, dedication, creativity and ongoing hard work are making such a difference to the lives and future success of the students. We are really proud that the achievements of our amazing young people have been recognised again on a national level." "It was a fantastic feeling to win a Tes school award and it was a great affirmation after over a decade of working to promote healthy lifestyles at Farsley Farfield. The award has given us a massive lift and has inspired us to plan even bigger and better things for the future!" "The staff, governors and pupils at the Boxing Academy are pleased as punch with this award. We have built our school on the values and ethos of boxing as a force for good. To receive recognition at national level is wonderful. In truth, we thought we were too alternative even for the alternative category so it was a surprise and a delight to win." "What an absolute brilliant occasion for Parklands. I was so proud seeing our school picture come up on the shortlist but even I couldn't imagine (with 7 other schools with huge talent and success) that we would be name winners! I am still in a blur now. Oh how I wish I could have the moment again.... and again and again. My thoughts were with the children and how this award is testimony to the 100% dedication and efforts that the children have given to me over the past three years. Things like this just don't happen to the children of Parklands in Seacroft. I can say that along with my children being born; Friday 23rd June 2018 is the proudest day of my life. Having Businesses believe in us and to share our journey .... and then to be recognised Nationally, quite simply wow! I would just like to give special thanks to the attentiveness of all the staff from the TES on hand during the evening. I would also like to say a special thanks to the fantastic caterers who produced a mouth watering meal. Julian Clarey was the perfect host adding smiles to the evening. Parklands has a bright future .... you guys just made it brighter." "Everton Nursery School and Family Centre are delighted to be recognised as the TES Early Years Setting of the Year 2017. This is such an accolade and privilege and a proud opportunity for all our children and families, staff and governors. We hope this recognition acknowledges the importance of high quality early years education and the need to invest in the early years workforce. Thank you to everyone at TES for giving Everton Nursery School and Family Centre the award. We will continue to pursue excellence at all times for very young children."  "One Education is proud to be lead sponsor for the TES Schools Awards. I would like to congratulate all the nominees as well as those who went on to win the awards. This is our third year working in partnership with TES and each year it just keeps getting better. A special mention goes to Upton School, Swindon, to its Executive Headteacher Jackie Smith and to her whole team, so many of whom were there with us on the night. To win overall School of the Year is a fantastic achievement and a real reason for us all to celebrate." "I entered the TES Schools Awards this year to acknowledge and show my appreciation to the staff that work within the Science Faculty here at Sevenoaks School. For all their hard work, dedication and passion in all 4 subjects (Biology, Chemistry, Physics and Technology). Their work in the classroom, outside the classroom, for our students and for those in the community allows us to do some terrific things in promotion of Science and Technology in the UK. I feel incredibly fortunate to have been the Head of Faculty for such a sensational team. Winning the Science category this year is a real boost for us and I would like to thank the TES Awards for the opportunity to be a part of this sensational event." "It feels great to win this award! Most of my resources have been made for my own classes, but it is really nice to hear how much of a time-saver they are for other teachers in such a hectic profession!" because we all know how special our school is and now , everyone has shared that special feeling and knows how much we care. It's such a privilege to be chosen when so many teachers pour their love into our children everyday so that they can learn and grow into the people who will shape the future .What a responsibility, but being a Headteacher is the best job in the world!" "To win the Lifetime Achievement Award at the TES Schools Award 2013 was quite simply the proudest moment in my teaching career.It was a total surprise to me as I knew conscientious teachers from all over the country had been nominated, so to be singled out for this recognition was immensely rewarding. The fact that my name was put forward by colleagues and students whom I have worked with for so long was particularly special. I have loved each second in the job; there can be nothing more rewarding than working with eager and enthusiastic pupils. My primary belief is that if you are optimistic and positive with your charges, inspiring them to greater achievements and encouraging them to become involved while making them feel valued, it is surprising how far you can take them. It is a privilege to play some small part in helping young people reach their potential, which is reward enough in itself, but this award has made it all the more wonderful"
"St. Mary’s has always worked at the heart of its community. We believe in working with the community to raise the achievement and aspirations of our children and their families. To win this award has been such a boost for the learning community. We felt so proud to be in a category with lots of high schools and lots of fantastic practice. It has opened many more opportunities to work with others. We have been able to share our work further than we ever thought possible. We have been able to engage and influence as well as benefit from the profile it has given us. A great day out to reward our team and parents was a real bonus"
"We are, of course, delighted that all the hard work we have put into our website has been recognised but to win an award from the TES is particularly satisfying because you know it's the one paper all those interested in education never miss. We've had loads of calls from colleagues and friends who've seen about our success and rung to congratulate us - which makes the achievement all the more special!" “It’s been tremendously positive. A lot of it has been almost intangible...for example the extra kudos it’s given us and the support it gives for our general ethos. It’s also been terrific for our public profile, and we use the logo everywhere – on our website, on our letterheads and we proudly display the trophy. I’ve also found that its helped us with recruiting staff – they want to work for a school that’s won an award like this. And internally it’s been great – it’s made the kids feel really proud to be part of the school; there’s a palpable feeling of achievement and being part of a winning team”.